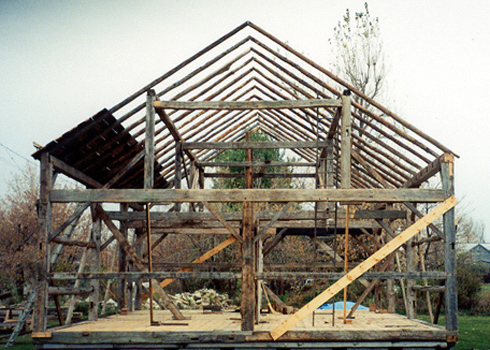 The building and design of barns have evolved over the years. Early designs came with the pioneers as they migrated from England and Europe, or were contrivances that simply suited the local landscape. 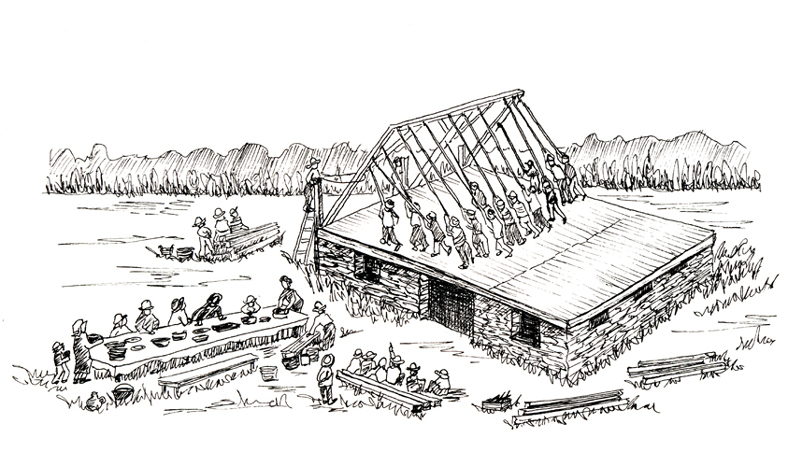 An excellent review of the general construction of barns was presented by author/artist Eric Sloane in his book, AN AGE of BARNS (New York: Funk & Wagnalls, 1967) . We are fortunate to have a series of pictures made available by the R T Elethorp Historical Society in Hammond, New York. 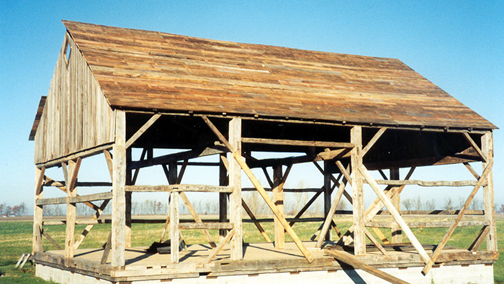 These pictures show the stages of reconstruction of the century and a half old barn on the site of the Hammond Museum. Other pictures were recently taken with the permission of the museum officials. 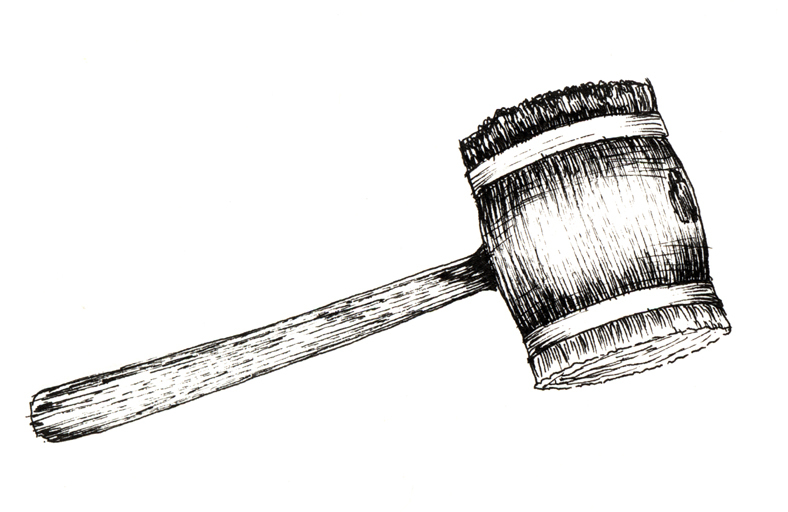 This page is rather picture heavy, so if your connection speed is low, please be patient. 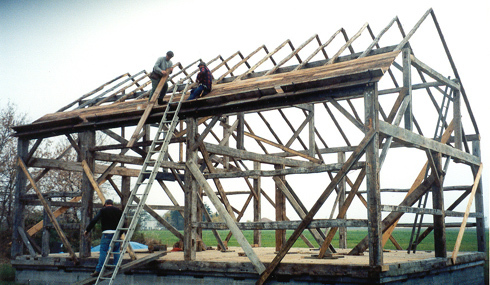 The Hammond barn was carefully reassembled with the original timbers brought from a local farm about two miles away. 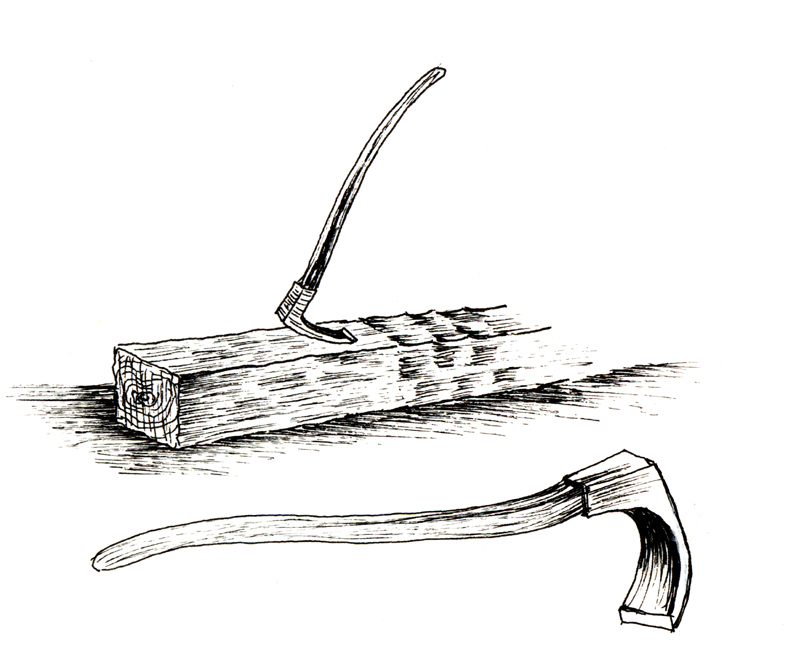 When first built, the local community would have assembled to hoist the previously cut frames. Below right is the finished barn that is now used for events. The interior geometry of barns is fascinating, and the carpentry was usually very precise. 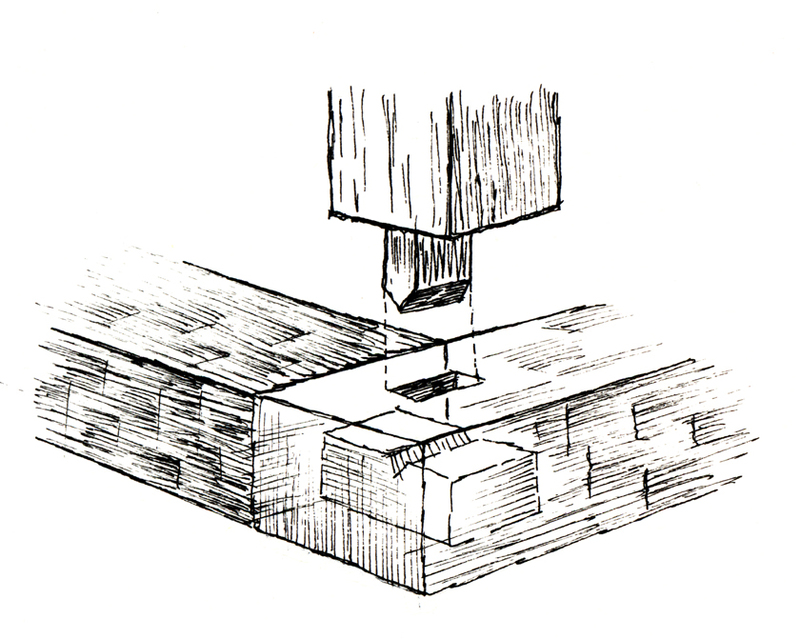 The beams were precut to fit in place before they were raised. At right are some examples of interior construction. 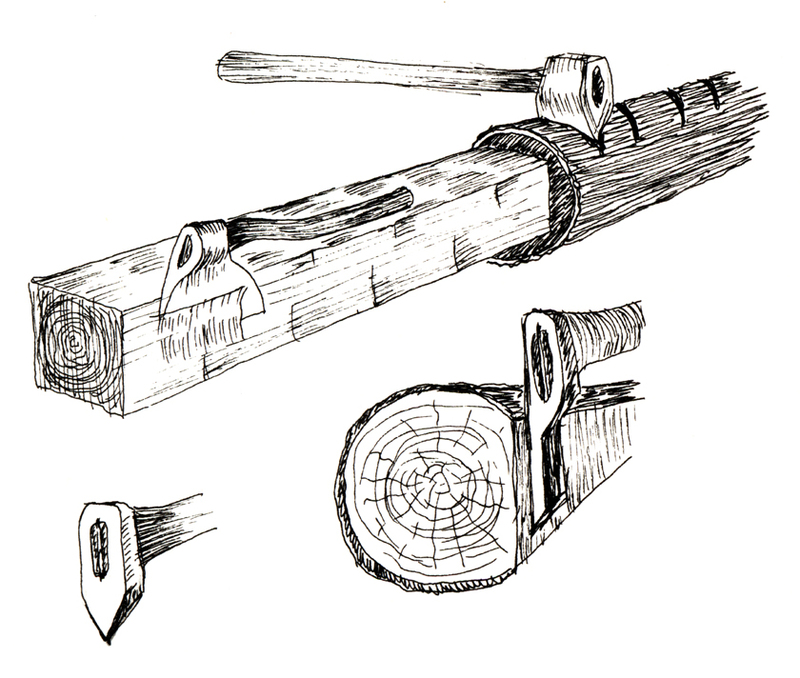 The timbers are held together with wooden pegs. 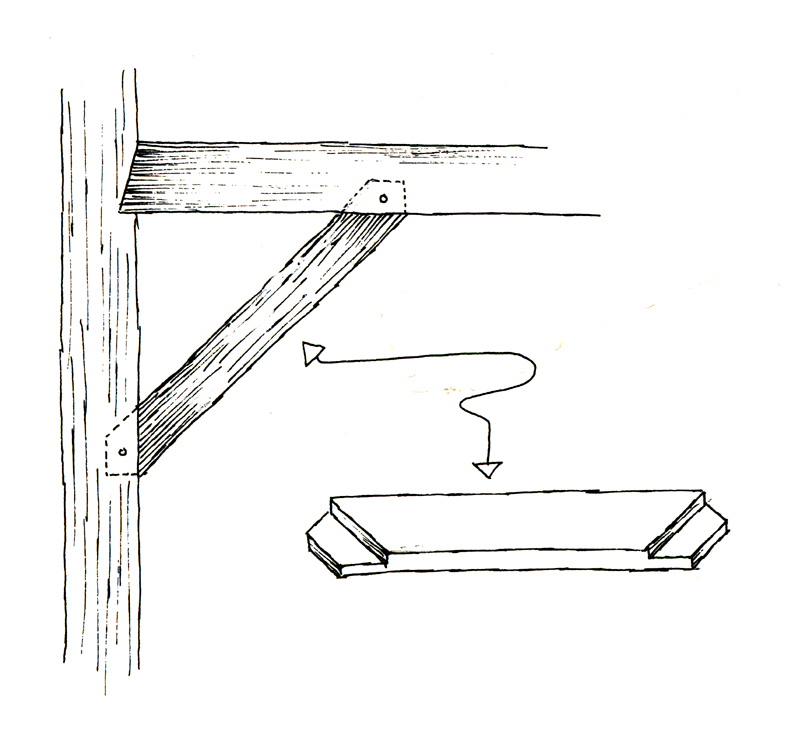 Period type hardware was used for hinges on the outside doors, and early square cut nails were used to attach the old and weathered siding to the frame. Fortunately this barn survives and was not sacrificed for use as ornamental picture frames, or for the interior of a fast food restaurant. Those are the fates of many historic barns. 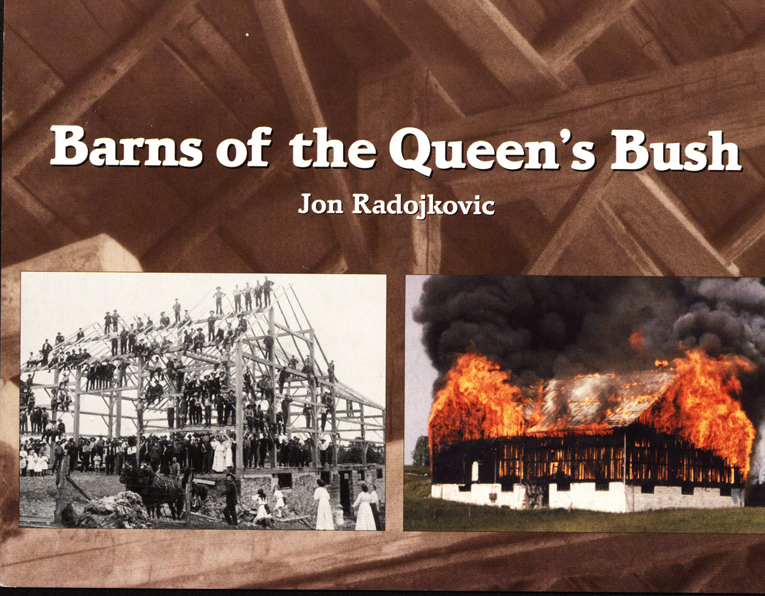 With the gracious permission of author Jon Radojkovic, we are able to reproduce some of the drawings from his book entitled, Barns of the Queen's Bush (Port Elgin, Ont Canada: The Brucedale Press 2001). 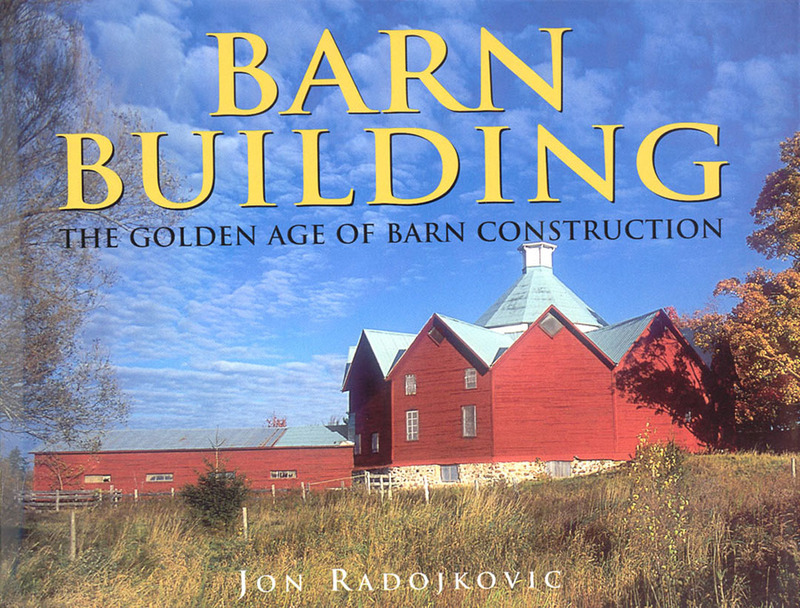 His book is filled with pictures of barn building in early days and of some of the methods used in that construction. 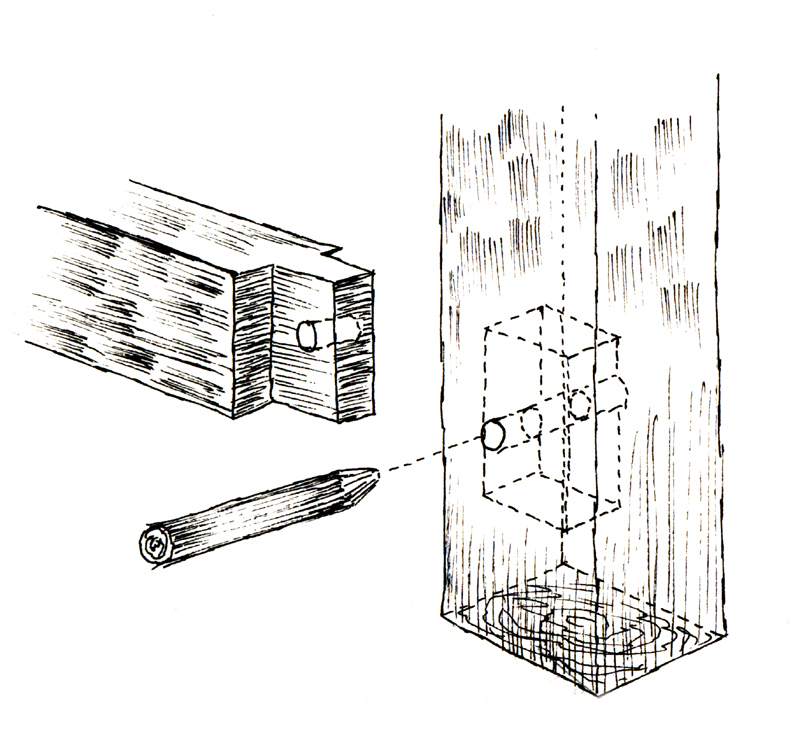 At the right are some of the drawings featured that illustrate tools and techniques in building early barns. 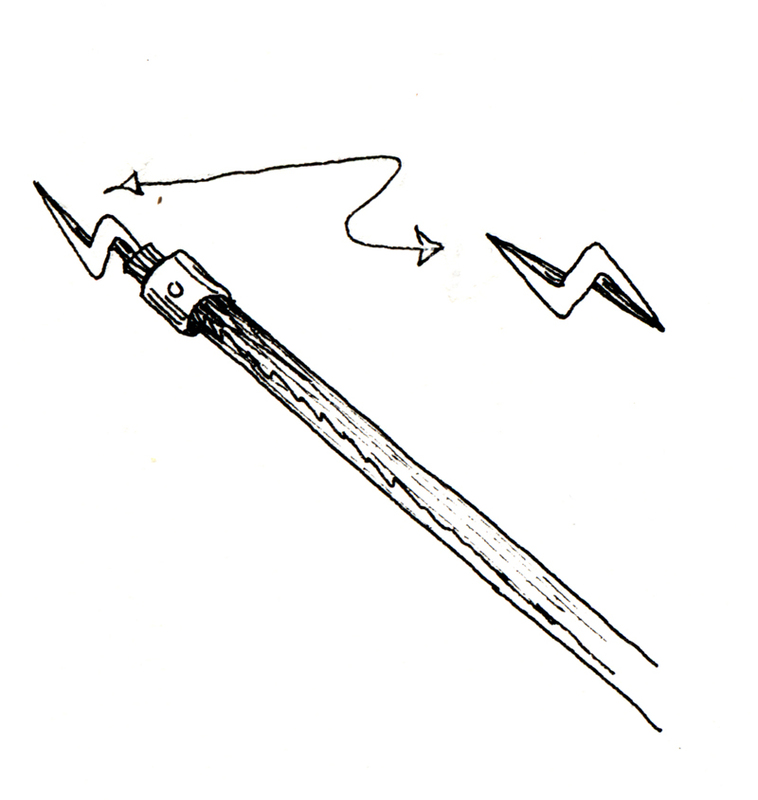 These methods were very accurate and stable. Jon has recently authored a new book with much more information on barns including our own Zenda farm and the Boldt Farm on Wellesley Island.